Beautiful view. Great staff. Non hurried atmosphere. The staffing is very friendly and I like the outside fire pits that you can sit at. 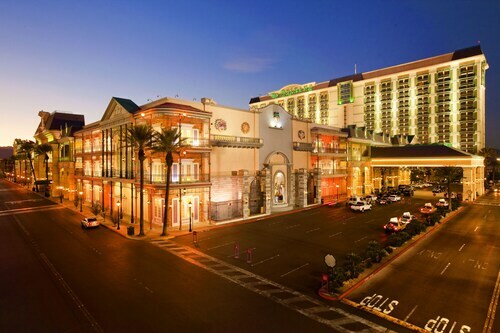 The Orleans Arena is adjacent to the hotel property. It is very convenient to stay at the hotel while attending an event at the arena. The hotel has a very nice shuttle to the strip. The people that work there are very nice and helpful. The rooms are very quiet. As you wander down one of the most famous boulevards in the United States, you may feel like you’ve entered another world. It is a world replete with magical street performers, enticing smells on every corner, and flashy signs beckoning you to come inside, if only for a moment. Are you dreaming? Not this time. 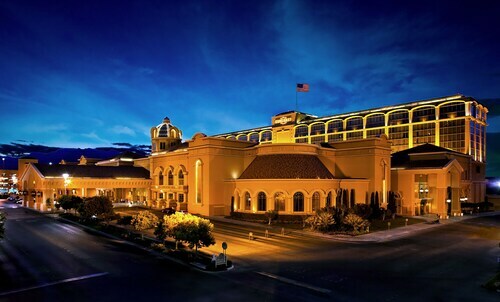 You are on the Las Vegas Strip, and this enchanting place is much more than just a dream. The “Entertainment Capital of the World” always lives up to its name, turning fantasies into realities and everyday getaways into stories and memories that will last a lifetime. There are, however, a few practical things to take care of before you are whisked away. How far is the airport in Las Vegas from the Strip? McCarran International Airport (LAS) is just 2 miles from the southern end of the Strip and about 4 miles from hotels toward the northern end. 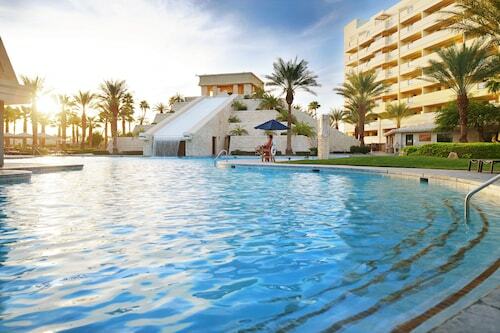 This means that no matter which Las Vegas all-inclusive hotel you’ve chosen, you’re just a short drive away. 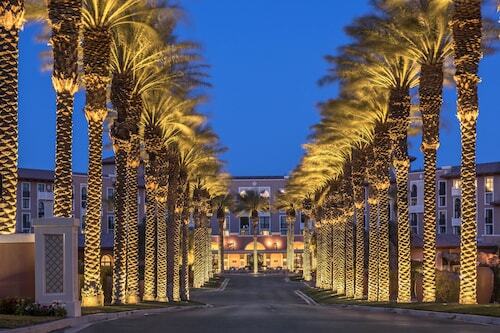 Whether you’ll be your own chauffeur with a rental car, arrange a pickup with your resort, or enjoy a taxi ride in true Las Vegas style, you’ll soon be partaking in the revelry that the city is known for—whatever your desires may be. Will I need a car in Las Vegas? Having a car can be convenient, depending on your plans. With a vehicle, you can take day trips at your leisure, and if gaming is on your itinerary, you’ll be able to travel between casinos with ease. 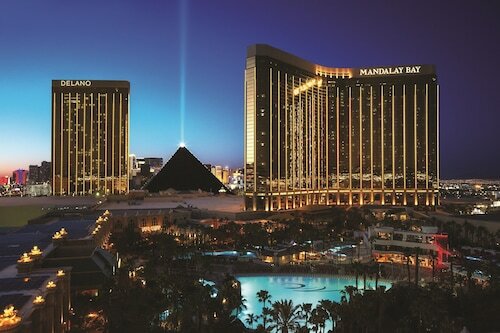 Feeling the allure of the slot machines’ flashing lights or the click of poker chips? 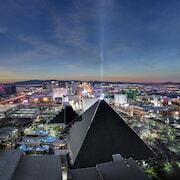 Many all-inclusive hotels in Las Vegas also contain casinos such as the SLS Las Vegas, so it’s never far from your room to the excitement of the tables. 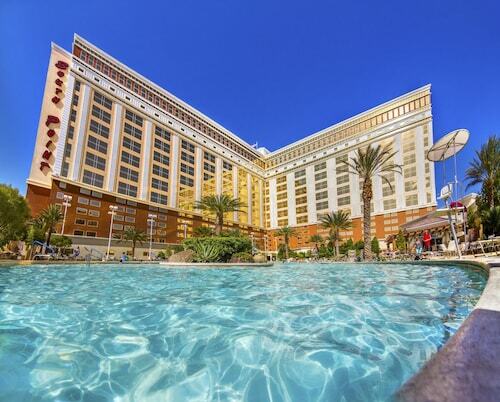 In addition, most provide free parking, including the renowned Palazzo Resort Hotel & Casino. If you so desire, pulling yourself away from the glitz of the Strip to venture outside the city is always a fine idea. The Hoover Dam, one of America’s most spectacular man-made sights, is just 35 miles east. For a bit of nature after all those big-city happenings, spend a day exploring the dramatic landscapes of Death Valley National Park. From lava landscapes to the “miracle in the desert,” Darwin Falls, this park is full of surprises. 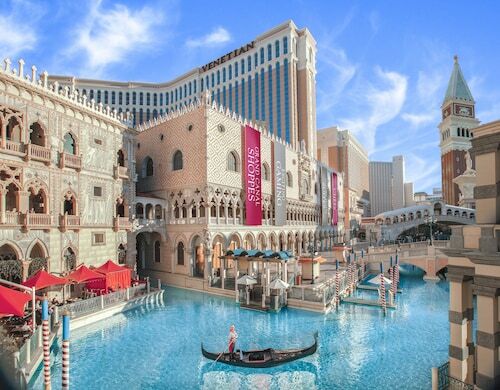 While you may find adventure and amazement around each corner, you can rest easy knowing your every need is taken care of thanks to Travelocity’s all-inclusive hotel deals in Las Vegas. 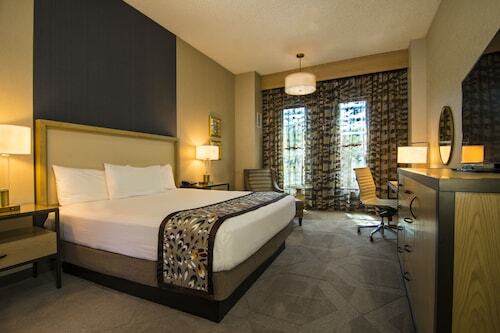 With our amazing selection, you’ll always find the perfect place to lay your head after the day’s exploits. 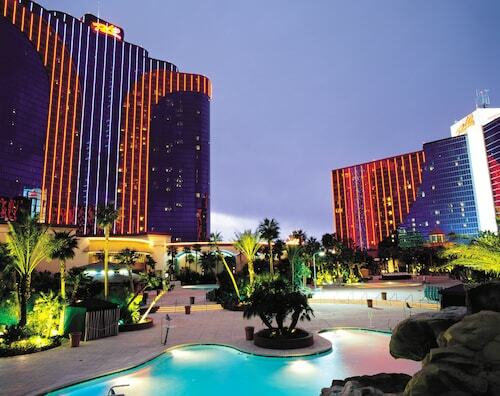 Book today and let us make your Las Vegas trip one to remember. Staying Off-Strip was ideal for us. 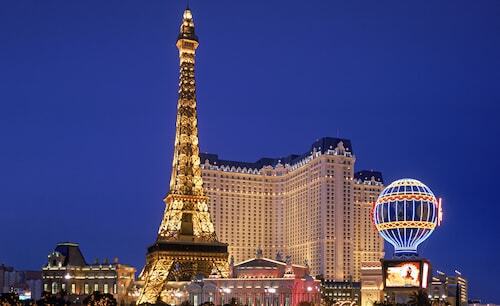 We were able to experience Las Vegas without the hassle of large crowds. The taxi ride to the other casinos was short, which allowed for pleasant excursions. 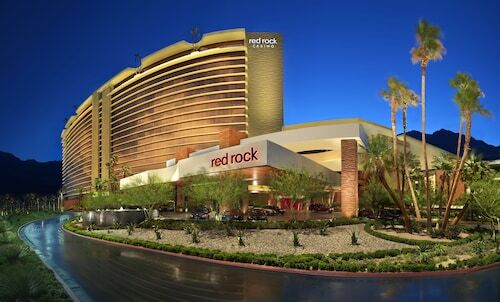 The restaurant selections at the Rio provided us with many favorable choices. We would stay here again. Loved the secret garden and dolphins. Way too many kids running around the casino floor and strollers blocking the way. Loved the location, easy access to parking garage, staff was great. No complaints at all.